Following tertiary degrees at Oxford and LSE, Richard Holloway worked in Africa, South/South East Asia, Caribbean, South Pacific with INGOs, local CSOs, Foundations, bilateral and multilateral development agencies on programs and projects in the field of social development. Richard has over 40 years of experience in 40 countries nearly all on long (over 2 years) placements, as well as considerable experience on short-term consultancies. Richard initial focus of work was community development with a broad range of community activities (WASH, SME development, PHC, education, agricultural extension). This was followed by involvement in institution building of CSOs and support to the civil society sector, particularly in its relations with governments (national and local). Most recently there is increased attention to building integrity in development practices – involving social accountability and combating corruption. 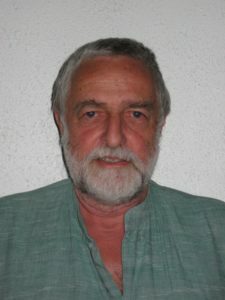 All of Richard’s work is backed by research capability, training course design and manuals, competency in face-to-face training, and a range of published books, sourcebooks, educational materials and manuals together with experience and competence in public presentations, and use of TV and radio. Richard Holloway is British national. Richard Holloway has a website: www.richardholloway.org.